I put an object in a time-travel device (say something that looks like a microwave ). I am now going to transport the object in time, but leave it in the same position relative to the Earth. If it was into the future, that's fine. It could simply disappear and re-appear in 5 mins, BUT, if I transport it into the past, then of course it would have already been in the device when I attempted to put it in... How the heck can I get around this? Now imagine you set up a camcorder 5 minutes ago to monitor the microwave. Then you decided to place the object (e.g. a box) into the microwave. As soon you turn it on, in your perspective, the box disappears. At the same time, you (unawarely, unless you have ripple proof memory to keep the memory of two versions of a timeline in your brain) remembered that the box was always there 5 minutes ago (you checked the camcorder footage and it is indeed the case, though you do not remember "previously" the object was never there "before" 5 minutes ago "before" you send it back, nor do you find the footage of the camcorder strange, other than a box appearing out of thin air. Now conservation of energy is not conserved, as expected when you warp spacetime to such extent to change its topology. This can be accepted as a property due to phenomenon caused by time travel, or that the microwave have expended some energy to fuel all the relevant rearrangement in that section of the timeline to arrange all matter-energy into the new version. Nobody and nothing will ever remember there is a change in timeline, because everything have been overwritten to accomodate that, through they might remember that probability conservation is violated between 0.5 to 0 minutes without any explanation, as well boxes appearing out of nowhere that is later rationalised to be the same box sent back. If CPT symmetry holds in your universe, then for Case 1, the mysterious electron that appeared out of nowhere is really a positron (likewise an electron if what you put in is a positron). That way, a more natural annhilation occurs and you have charge conservation as expected. This case is interesting because it will suggest entanglement of charges can be made possible by the microwave such that the two particles to be annihilated in the overlapping region has to have opposite charges, spins etc. If there is absolutely no compromise or none of the conservation laws are allowed to be violated unless it is from an unexplained process, then some kind of fusion or explosion happens as soon you close the door and press the button. This is because the moment when you do so, the spacetime topology changes and now the box just sent in in the old version now coexists with the new timeline where the box was always there 5 minutes ago (this box will have an ontological existence). We can clearly see that there are two copies of the boxes have overlapped in 0.5 to 0 minutes. This means the atoms will be pushed close enough to trigger fusion, or that pauli exclusion will send the boxes fly apart from the microwave door with great force. Suppose you did survive the ordeal, then you will be lead to think that the microwave converted some electricity into another copy of the box, which is now blow apart. Meanwhile the camcorder will record the box was always there, you then open the microwave, place another box in (acting as if with no clue there is a box there), then as soon the boxes contact, an explosion or fusion happened. Time and space are extremely interlinked. You move through space fast, you experience time slower than things that are moving slower and experience time fast. Near a Black hole space is being altered and time also slows, but at the event horizon something magnificently weird happens: time is effectively zero at the event horizon of a Black hole and at that moment space and time switch places, allowing the matter inside the event horizon to instantly be pulled to the center of the hole. Time and space are so interlinked that their physics can actually switch places in certain circumstances!! Like many others you treat time travel as teleportation, but when pushing something through time its far more likely that it'll behave similar to traveling through space as they are so interlinked: when they meet eachother they'll collide. So you would have to send your object not just through time but to a space where it wont collide with something, or the collision wont be enough to destroy the object. Although the reasoning of "you cant do a grandfather paradox this way" given in the article above is wrong. They assume that the second wormhole is traveling in a straight line and by the time you caught up with it enough time as passed to make it impossible to kill your grandfather. If you were to have it go in a circle you could reach the wormhole multiple times and keep going farther and farther back in time until close to the launch of the wormhole spaceship. Time travel is not yet science fact, so all we have are theories. As a writer, you are free to pick any theory you feel suits your story, and there are at least dozens of them. There's the "alternate timeline" approach, where you can't send things to your past. You instead send them to the past of an alternate timeline, which then plays out differently. There's the idea of time preventing two objects from occupying the same space-time or from causing an inconsistency. In such a case, sending it back in time is like trying to push a ball through a concrete wall. It simply pushes back, and doesn't let it happen. 12 Monkeys used an approach where messing with time sent waves down the line which slowly brought things into consistency, like ripples on a pond slowly becoming muted. Dr. Who had the idea that if something like this happened, time would tear, and extra-dimensional scavengers would come consume our dying timeline. As you can see, there's many ways to resolve it. My personal favorite to work with is the Novikov Self-Consistency Principle. It simply states that the universe is consistent across all spacetime. The classic example is done with billiard balls and wormholes. A billiard ball is sent through a wormhole, back in time. It is put on a course such that, when it comes out in the past, it is on a collision path with itself such that it knocks itself away from the worm. This appears to cause a paradox, as now the ball would not go through the wormhole, so it wouldn't knock itself off course, so it would go through the wormhole... oh bother. Physicists have discovered that there is a solution. When the ball goes through the wormhole, it comes out at a slightly different angle than it went in. This change in angle is enough to turn a solid impact with itself into a grazing blow. This grazing blow changes the trajectory of the past billiard ball just enough to enter the wormhole at an angle consistent with the angle it came out, so that it can graze itself (again?). They proved mathematically that this works for all possible configurations of billiard ball initial states and wormhole positions. They postulate that this could also be true for more objects more complicated than billiard balls. While he wrote the law for magic, if you apply Arthur C. Clarke's famous rule, "Any sufficiently advanced technology is indistinguishable from magic," you find that it applies directly in the science fiction domain as well. If your readers understand what happens when the object is sent back in time, the effects can be as wondrous as you please. Now you must realize that from a scientific perspective, this kind of time travel is near impossible. Whenever the object reappears, if it materialises, it will invariably take the space of whatever was there in that volume already. And probably cause some intense action at the molecular level. The only way such a device can work is if it creates an absolute vaccuum at the place where the object is supposed to teletemport (I just made that word up). For this, the device should know well in hand when an incoming object is expected, and as such, shouldn't allow outside interaction during that period. If the said device is what is the object of this question, then there are two cases possible: 1. Causality is maintained, and when you open the microwave for the first time, you already find a box inside. You take it out, put the new box in, and resend it for your past self to find. The box undergoes a linear timeline containing a loop. There are no other timelines or world branchings involved. 2. Causality is not maintained, and when you open the microwave for the first time, it is empty. You proceed to send it back in time. 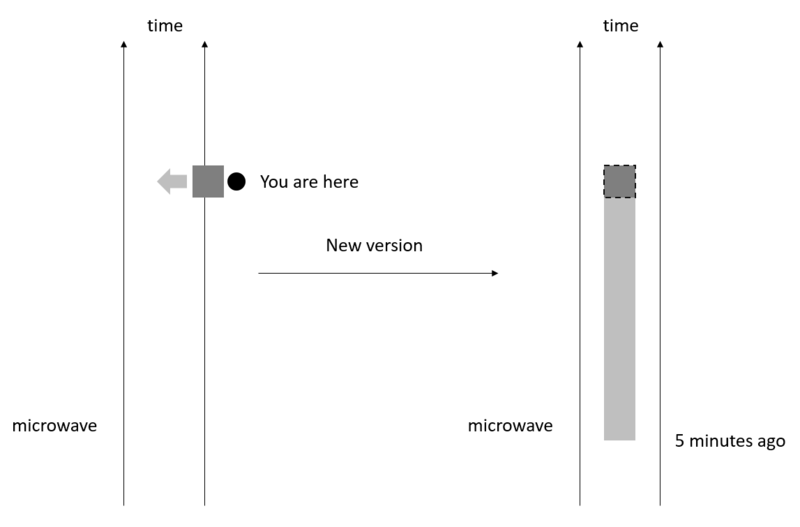 This creates a branching timeline, where the box is already in there, and when you open the microwave, you find the box already inside. You take it out, and may or may not decide to put the box in again. I tend to stay away from 'time travel' issues, because they are inherently contradictory. I can not resolve your conundrum, but I can point you in a direction. I would like to bring to your attention that these paradoxes only exist because of life, particularly human life. Life implies knowledge and knowing. Knowing implies memory. Memory is particularly uni-directional. As a great mind once asked, 'Why can we remember the past, but we can't remember the future?' Only living things have memory. Only living things experience time. Only living things are concerned with the concept of past, present, and future. Since inanimate objects have no memory, it really makes no difference to them if something 'appears' from the future. There is never any memory of weather they were there a microsecond ago or not. In fact, it makes no difference if they wee there a microsecond ago or not. To an inanimate object, there is only the present. That is, the past or the future never effects the present. Only the present effects the present. I prefer the theory that you can not change time in your timeline, and that as you travel back in time, you create or move into a parallel universe where the change you made occurred. Then, by placing the object on the time machine and sending it to the past, it would have gone to another timeline where the other you from that timeline will find it when it opens the device. If you use the time machine on yourself, you would go back in time but would go to the other timeline. This does not break many law of physics as far as I know, but it depends on the possibility of parallel universes and travel between them. In the same way as in transporting matter from one universe to another, that matter which did not exist before only appears from nothing, in "time travel" if this matter would appear in the new universe, but in an earlier or later moment in the temporal line. Not the answer you're looking for? 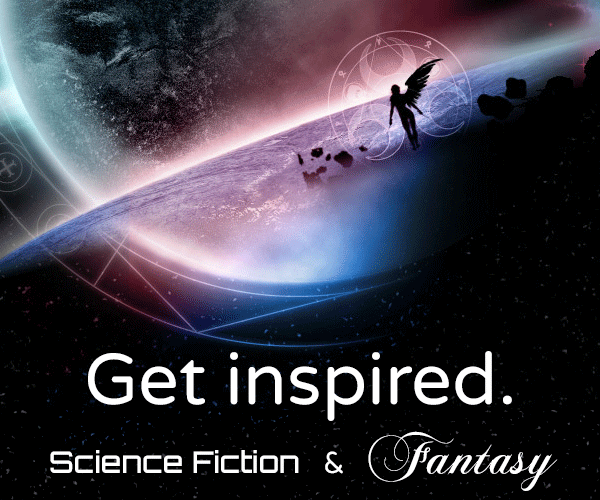 Browse other questions tagged science-fiction time-travel or ask your own question.